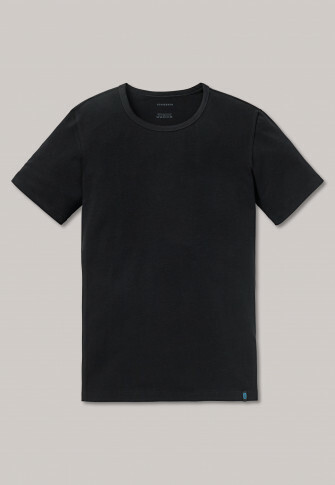 Whether under the shirt or solo to the jeans, in this black T-shirt with a crew neck from the popular SCHIESSER? 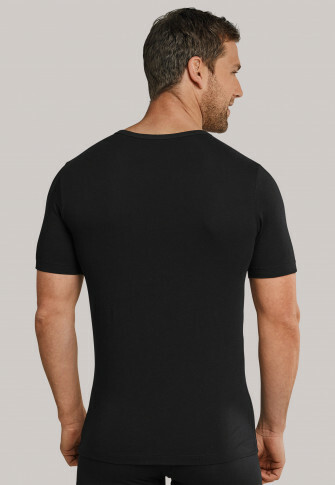 line "95/5", modern men will always cut a good figure! 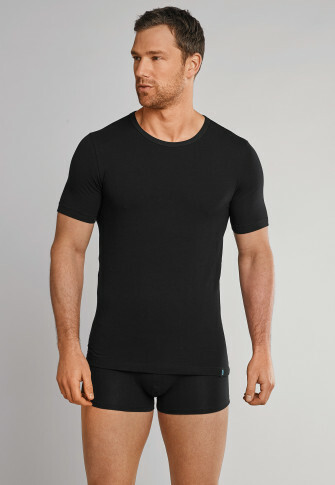 Elastic single jersey of 95% matte glossy cotton and 5% elastane do not only feel pleasantly soft on the skin but at the same time also remain in top form all day long! 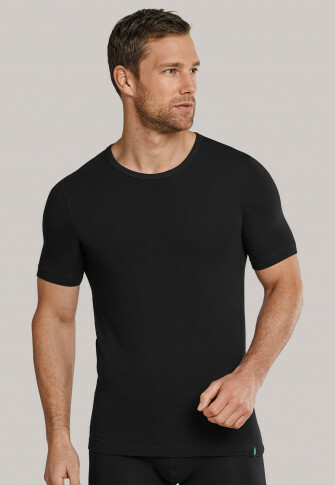 Ideal for men, who appreciate perfectly fitting basics in the best SCHIESSER quality! Angenehmes Tragegefühl, gut für warmeTage, da leicht und luftig. Aufgrund der guten Qualität würde ich das Produkt jederzeit weiterempfehlen. Sehr bequem und sauber verarbeitet.